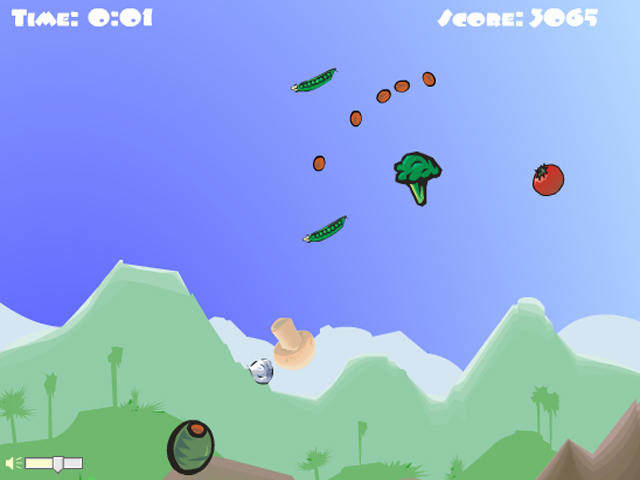 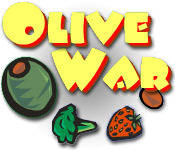 Battle waves of vicious vegetables attacking the planet Salad Bar in this nutritious arcade game!Pepper enemies with pimentos!Battle waves of vicious vegetables attacking the planet Salad Bar in this nutritious arcade game! 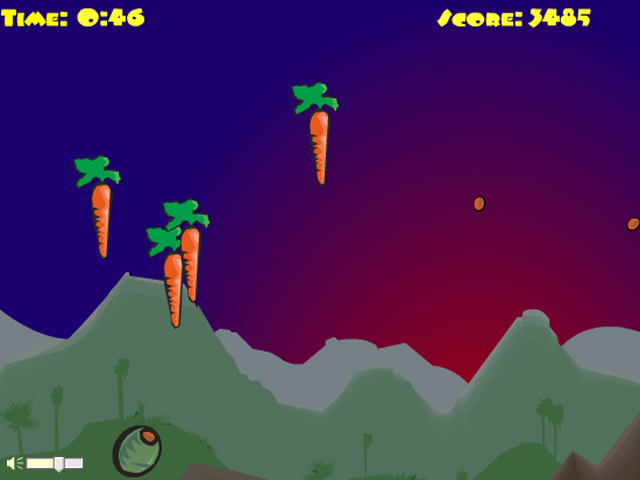 Defend your home-world against invading vegetables, armored artichokes, and kamikaze carrots! 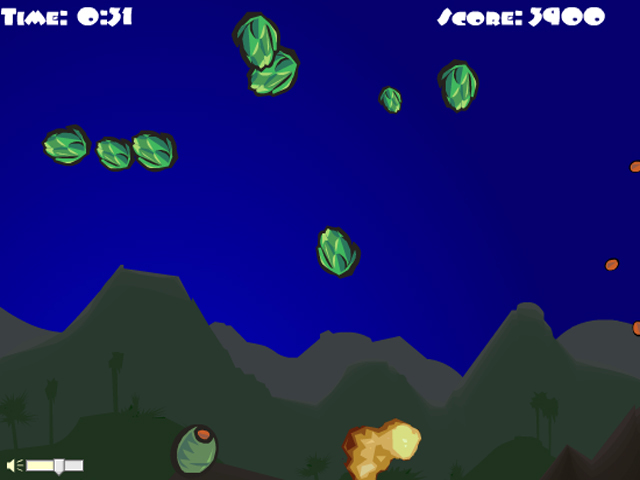 Collect pimentos to increase your firing rate and destroy all vegetables before they reach the ground.